Dress Like Your Grandma 2! Here's the finished dress. I changed things up a bit. I left off the placket for one. My dress is made out of shirting and chiffon. The chiffon was a pain. 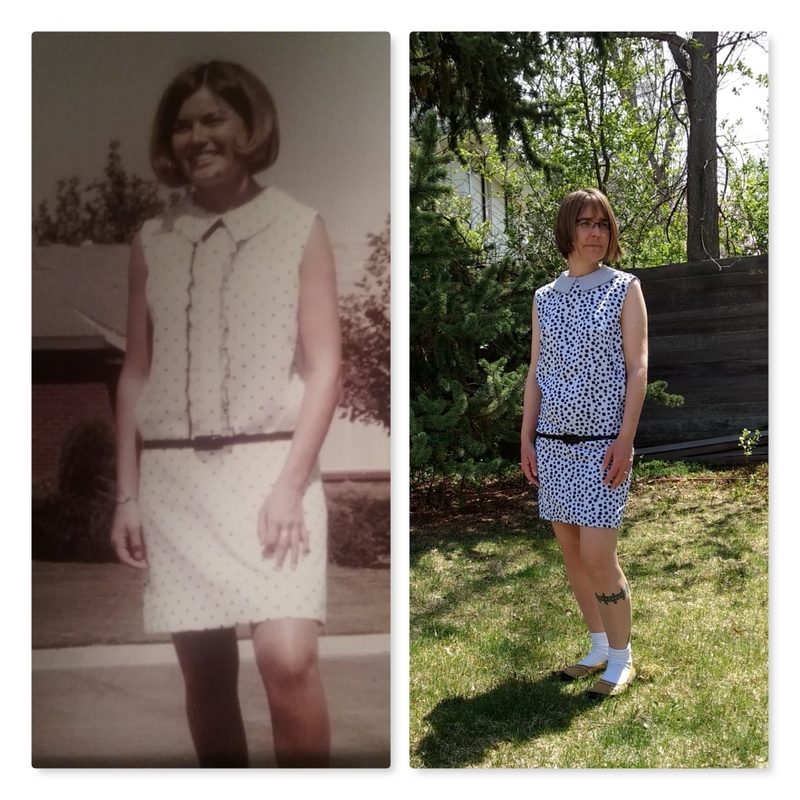 The pattern was Simplicity 6720 (vintage). I'm glad I finished though. Next year, I think I'll do Dress Like Your Grandpa. Here's my failed attempt at a muslin. If you only look at the top of the dress, it's not so bad. I mean except for the awful attempt on my part at top stitching the collar which should never have been top stitched. Since I last posted, I have made: The Red Poppy Bag by Sew Sweetness; Stargazer Toe by Blue Calla; Akita shirt by Seamwork; 2 Kimmy Dress by Seamwork; Charlie Holster Bag by Serial Bag Makers; Cardigan by Swoon; Marigold by Tilly and The Buttons; and Celine Zip Top Tote by Swoon Patterns. 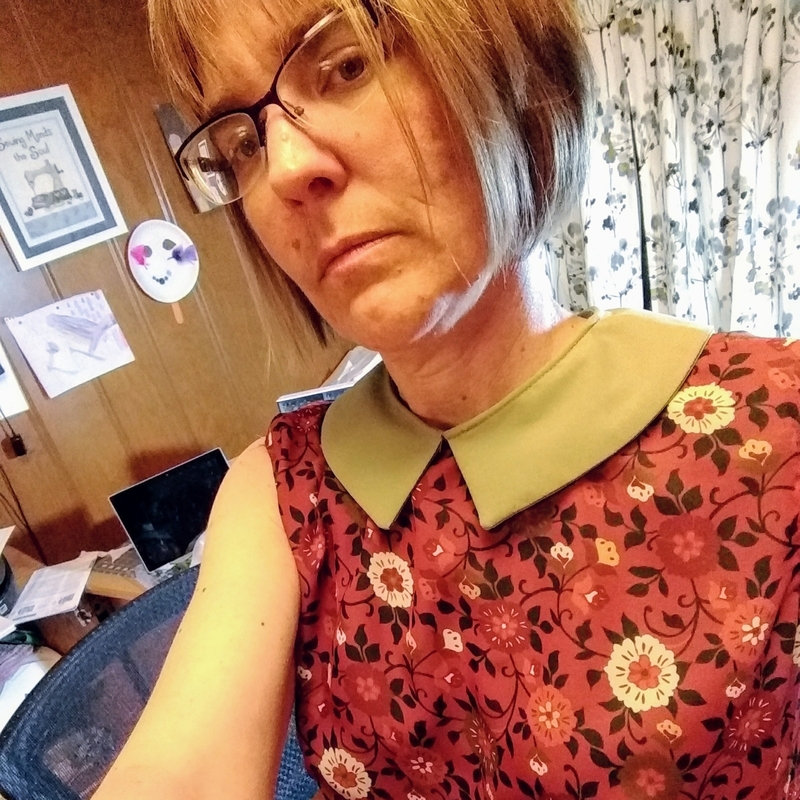 I have cut and ready to go: Muslin for Dress Like Your Grandma from vintage Simplicity Pattern 6720, 2 Adeline Shirts by DG Patterns, and McCall's Pajamas 2476.